I feel like I am one of only a few people who didn't grow up on Manwich. I ate plenty of sloppy joes as a kid, but my dad always made them from scratch. Yes, pre-made sloppy joes are easier but if you put in a little extra effort, you'll be rewarded. Brown and drain beef, set aside. Put a little oil in a hot pot. Make sure the pot is large enough to hold all of the ingredients. Saute the onion and celery for a few minutes, until the onions are softened. Add back the ground beef and all remaining ingredients. Combine well and stir occasionally until heated through. 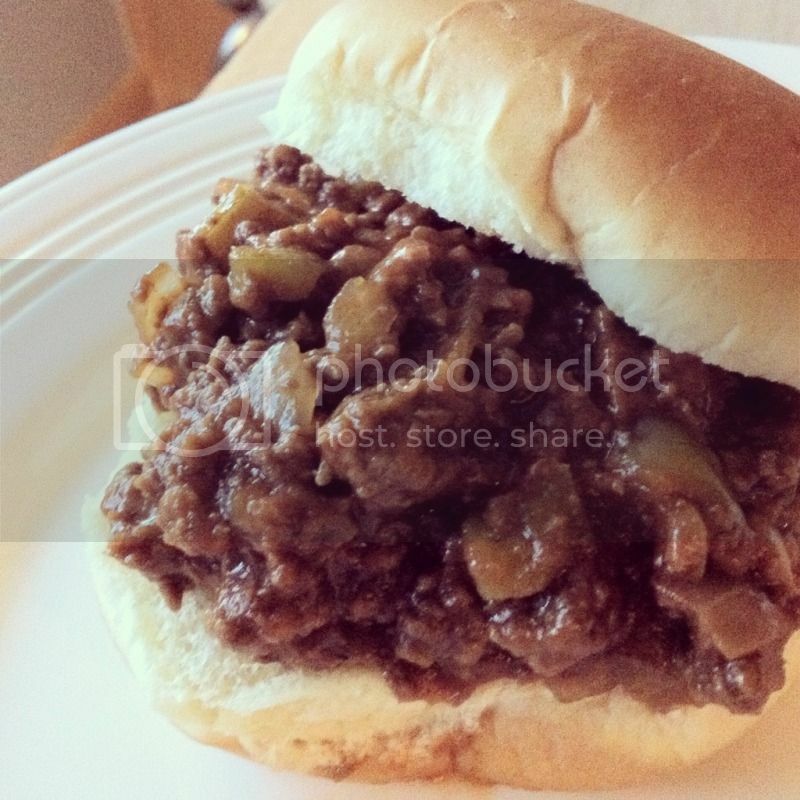 My dad's sloppy joe recipe is so easy to make and sooo delicious! I really should make this a lot more than I do. It reheats very well and would be great to take to work!